Larger Project 4-8, Master Bedroom » Roger Perron Inc. 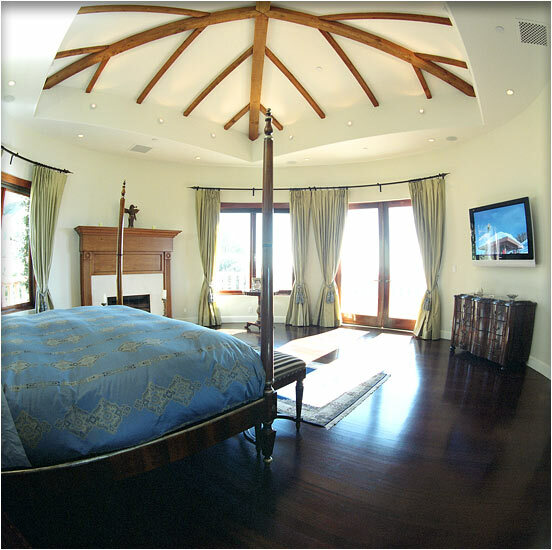 Here is a view of the master bedroom with great outlooks to the hillside and ocean. This room is rounded. The ceiling has planted-on beams with the underneath structure composed of steel frame. The floors are natural stained cherry. See photo #7 for the exterior view with this master suite above.